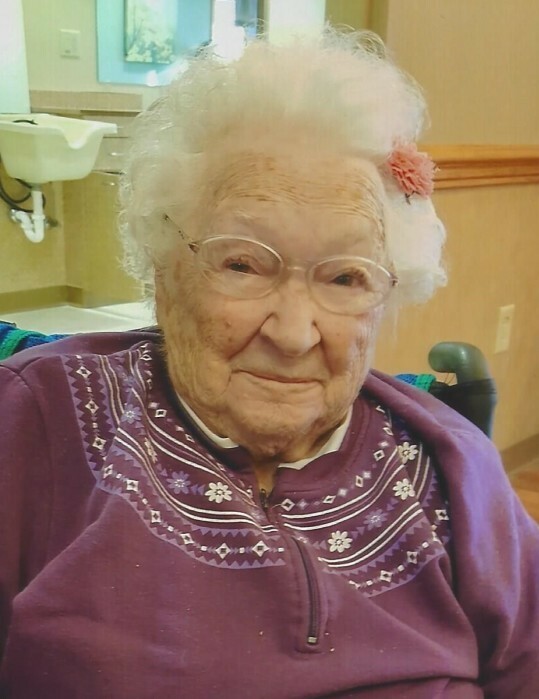 Gertrude McMurray, 94, formerly of North Lima, passed away Wednesday morning, July 25, 2018. Gertie was born on July 16, 1924 in Marietta, a daughter of George and Agnes (Cassidy) Potter. She married Donald McMurray, on July 7, 1946. Together they would raise three children. Gertrude enjoyed cooking, sewing and crocheting. She loved spending time with her family, especially hosting holiday parties and family gatherings. She was a member of the Columbiana Mother’s Club. She leaves to cherish her precious memory two daughters, Patricia (William) Julian of Salem and Phyllis Lawrence of Jefferson; a son, Richard (Tami) McMurray of New Springfield; 6 grandchildren; and 12 great grandchildren. In addition to her husband, Gertie was preceded in death by her parents, her brother Robert and great-grandson Elijah Ford McMurray. Funeral services will be held on Saturday, July 28, 2018, at Paradise United Church of Christ, 10020 New Buffalo Rd, Canfield, with Pastor David Parry officiating. The family will receive friends one hour prior to the service from 10:00-11:00 at the church. In lieu of flowers, the McMurray family asks that material contributions be made to Community Hospice, 716 Commercial Ave. SW, New Philadelphia, OH 44663, or to Paradise Church in Gertie’s honor. The Seederly-Mong & Beck Funeral Home in North Lima, Ohio has been entrusted with the arrangements.